Humans aren’t the only ones looking forward to warmer temperatures this spring and summer. Many insects, especially the carpenter ant, are focused on finding new homes and food sources so they can reproduce during this time of year. Here are tips for making sure carpenter ant season doesn’t ruin your picnic… or worse. When temperatures climb, carpenter ants start to stir and search for food with high moisture content because water is the first thing they need after a long winter’s nap. Carpenter ants get most of their water from the food they bring back to feed the larvae – larval ants digest the food brought to them and secrete a nutritious fluid for the adult ants. If no wild food sources are available, carpenter ant workers will venture out of the nest in search of moisture. They may also locate sweets, pet food, fruits and veggie materials – essentially, anything damp. 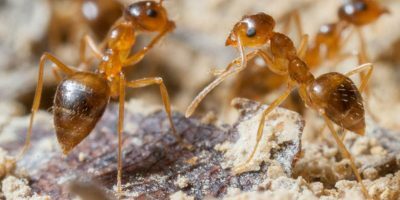 Worker carpenter ants may also be interested in house plants infested with aphids and other insects that secrete sweet honeydew that ants can consume and bring back to the nest. Carpenter ants are nocturnal, so most foraging happens at night, however large colonies will have workers coming and going throughout the day as well. When a colony has reached maturity, it’s swarm time, when large numbers (from dozens to hundreds) of winged reproductive ants come together – inside or outside of your home or structure – to mate. This mass swarming allows males and female ants within the same nest or with nearby nests to exchange genetic material and ultimately produce more worker ants to grow the colony. It is important to remember that carpenter ants don’t eat wood as a food source. No, these pests burrow into it to nest by making long, narrow, smooth pathways. They remove any wood debris into piles of sawdust (often referred to as “fras”) wreaking havoc on window jambs, sill plates, support beams, roofing supports, and other pretty important structures. Carpenter ant season can mark the beginning of a worrisome and frustrating summer, causing significant damages and thousands of dollars’ worth of structural repairs. 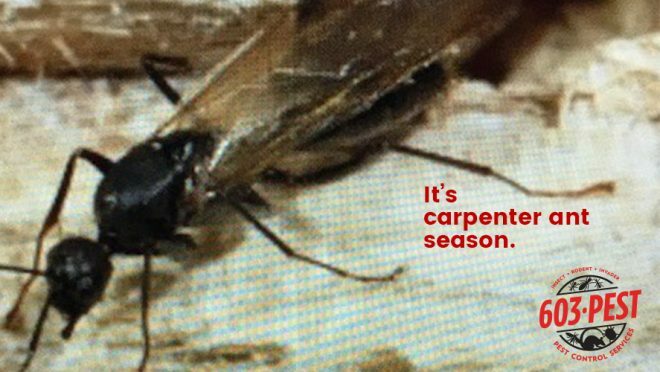 If you’d prefer to spend carpenter ant season at the beach, rather than your local home improvement store, control of carpenter ants is best left to the pros. DIY treatments can be dangerous, frustrating, and at worst, ineffective. A well-trained PCO will have the training to seek out and prevent future damage to homes and other structures. 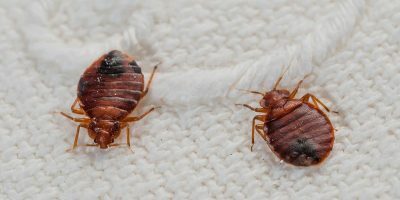 From there, treatments are entirely dependent on the unique nature of the situation – no two infestations are the same. Your best bet is to contact a professional pest control company to lead the charge in turning carpenter ant season into open season on carpenter ants.